Despite the holidays break the last two months have been extremely productive. And even though we’ve made more than we planned, the second mode is shaping a bit slower than we’d like to, but let’s talk about the good stuff first. Shall we? The Summoning mode has received a few more updates and several new game mechanics, they are relatively small but fun. The first one is a 180 degree turn. By pressing the “Q” button you can turn around instantaneously. It can be a bit confusing at first, but in some situations it may be super helpful. We’ve also added a “ledge grab”. It’s slightly different from other games as you never actually use your hands to grab the ledge, meaning you have more control over your character. After the Game Anglia showcase it was apparent that we needed controller support. So we’ve made it. Xbox and PS4 controllers both work fine by default. In theory, the Switch Pro controller should work too, but we don’t have one to test it. The aim assist is turn on by default and it’s very generous. The game feels and plays way differently with the aim assist and some may not like it. There is an option to turn it off. But I encourage you to give it a go, especially if you’re not good at shooters. The aim assist works ONLY with the controller. Almost forgot to mention the elemental damage that’s been added to every weapon. Now when you use the right type of Mist weapon enemies will be getting extra damage. The last feature that is currently being added and will be the last for the new demo is a system of power-ups that can randomly drop from an enemy. They are time based and give you a short but significant boost either in damage, speed or ammo. There also have been some UI and balance changes and usual bug fixing. 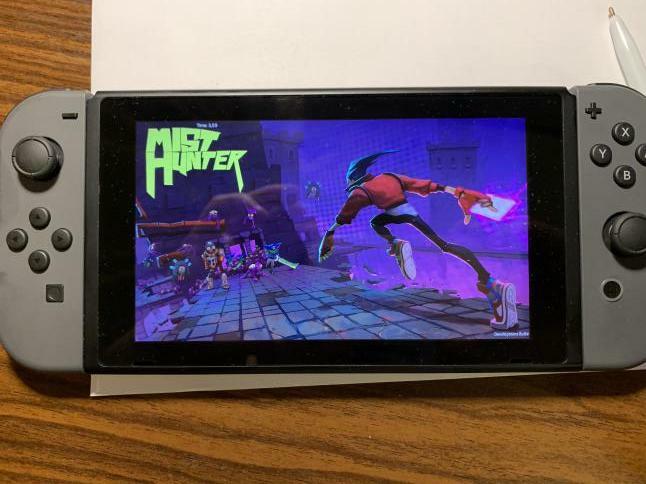 Another big thing that we have managed to accomplish is porting of the Summoning mode to the Switch. To our surprise it runs really well, it does need some tweaking, obviously, but it’s playable. It’s an amazing feeling having your game run on a Nintendo machine. We’ve also gone through all the paper work with Sony and Microsoft to be able to develop games for their consoles. Well, all those things above have slowed the work on the other mode. It didn’t stop complete. We made a few tools, tested the level generation and fixed the AI navigation system, but it’s still very bare bones. On the other hand, we had more time to think on its structure and flow. It gave us another chance to reiterate the things we didn’t particularly like.